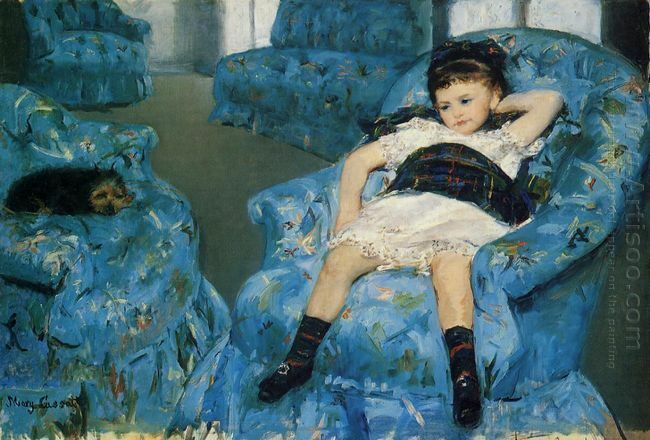 Cassatt, but she neither had Renoir’s pure love nor Degas’s easy grace. As a woman without marriage and children, she always treated the mother and child with sacred solemnity. Some people said this painting was quite like Madonna and Child in the religious theme. In this painting, the child’s modeling was portrayed accurately and his action was very lovely and childish. The color combination was harmonious and ornamental without the deep air perspective treatment. Instead, it had the plane sense: the mother’s face was painted rigorously, but her clothes seemed to be casual and elegant. In this painting, the relationship between the characters was much closer and more accurate. By this time, Cassatt had made the hand posture and placement as a means of expressing her feelings. The woman firmly clanged to the child. At the same time, the child also gently touched his mother. Such posture exhibited the mutual comfort and love between them. 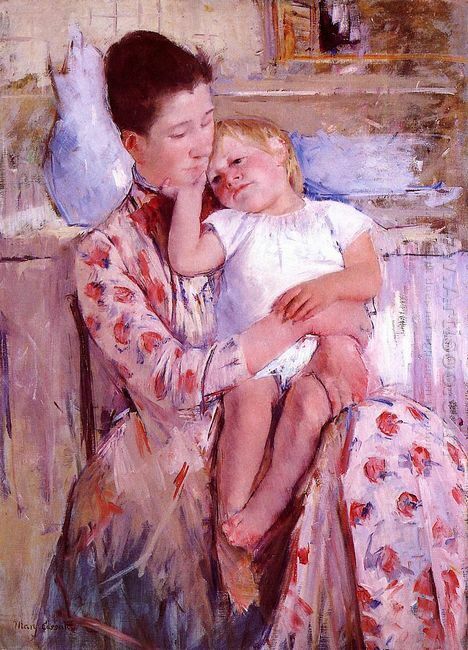 Cassatt placed the little hands of the child above the mother’s hands and the mother grabbed her own wrist with one hand and held the child’s thigh with another one. Two heads were placed together to emphasize this emotional consistence. The character’s head and limbs were portrayed very strong. The color layout was limited and harmonious: using the iridescence brown, red and white. The colorful clothes of the woman provided the only decorative composition and the white coat covered in the child’s chubby body corresponded with the kettle in the background. With the pyramid shaped composition, Theodore Gericault unfolded the event that grasped the instant scene and depicted the victims’ suffering, anger and pain. 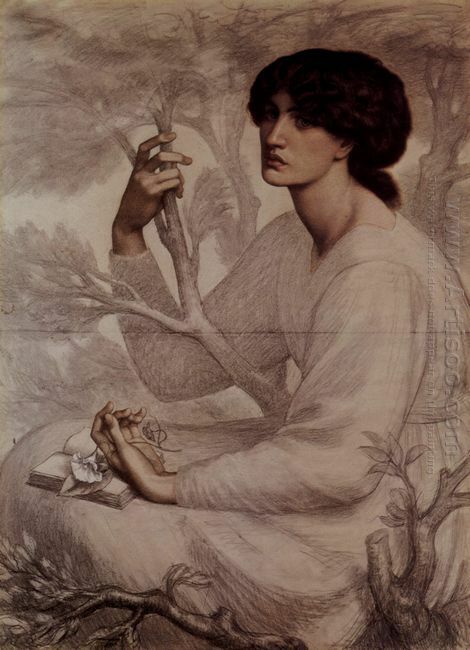 The whole painting was full of the stifling atmosphere of tragedy and initiated romanticism. 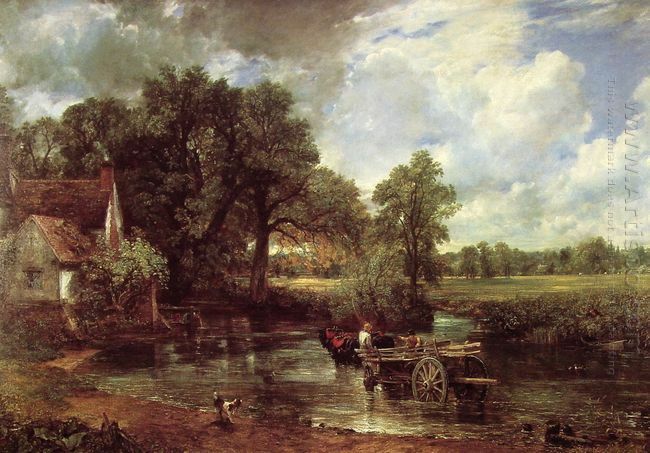 The painter spent 18 months painting this masterpiece and then made a continuous modification. 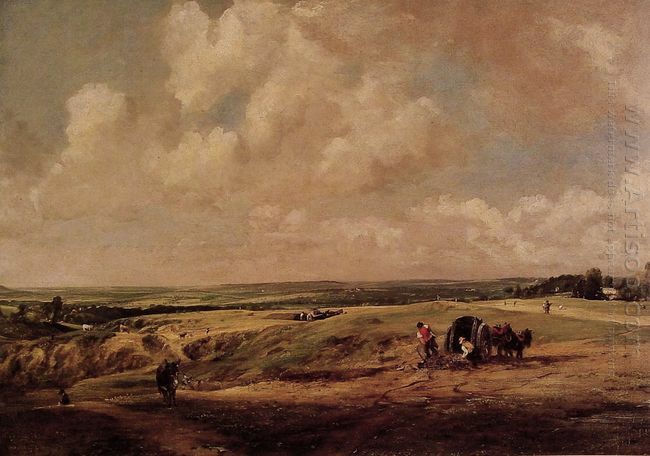 Its first public exhibition was in 1819. The painter did not expect this work was able to produce such sensation effect. Although this event had passed for a long time, when the people stood in front of the painting, they seemed to see the surging waves, and saw the soldiers’ isolated and helpless situation. The painting, The Raft of the Medusa, did not have the smooth description, but had great originality layout and shocking picture, which strongly stimulated the viewer’s emotions. Apparently, the artist in this shipwreck event saw the similar scene encountered in the French Revolution. The Raft of the Medusa was not a simple “news” painting, but the real mapping of the painter. 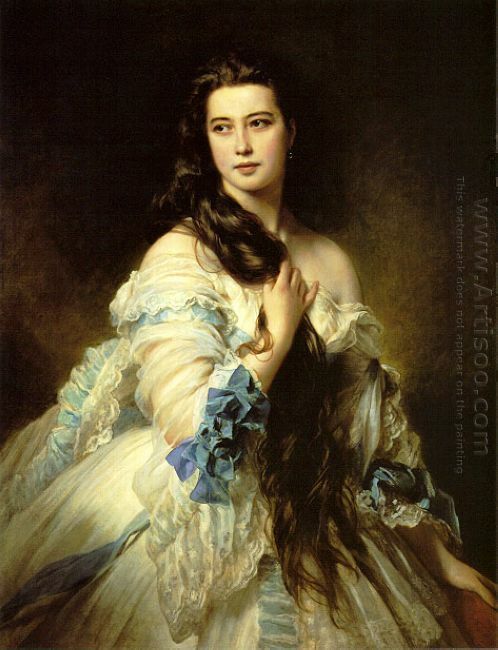 Such romanticism was like the tempestuous and dangerous scene described in the British romantic poet Byron’s narrative poem Don Juan and was the ideological reflection of the advanced art. A raft was floating on the sea, the sea breezed the sail made of sheet and the raft lifted by the surge constantly thrashed. The refugees in the raft had been dying and some were still looking into the distance. People at high attitudes waved the red and white linen and continuously called to the remote places. The whole painting gave people the turbulent and crisis feeling. Audience standing in front of the paining felt shocked. 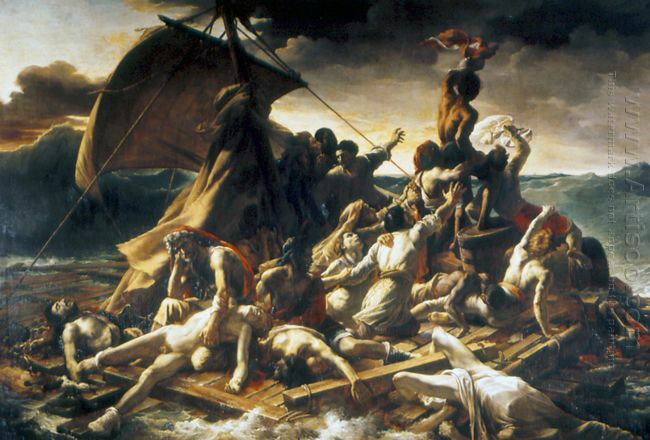 In the painting, the sail and the survivors on the raft just formed a triangle and became the center of the painting in order to show the scene of raft floating at sea. Some people were dead and some people held the bodies of their loved ones and lost in thought. And a pile of arm straight forward person broke the shackles of the stable triangle and constituted a turmoil and passionate triangle. They pushed one after another until the highest one was raised high and waving a red scarf. Along their shout direction, the careful readers can find a small shadow in the distant wave. Compared with the death, it meant the hope of life. But the painter intended to draw a sail in the background and the wind blew the raft back, which causes the tension between the victims’ mood for life and the reality created by the blowing wind. In the summer of 1884, every day Seurat devoted himself drawing characters and scenery sketch in the BowlIsland from morning to night. For Seurat who lived long in Paris, it must be a very warm scene. A year ago, based on the theme of Asnieres located across the BowlIsland, Seurat created his first work Final Study For Bathing At Asnieres (preserved in London National Gallery). 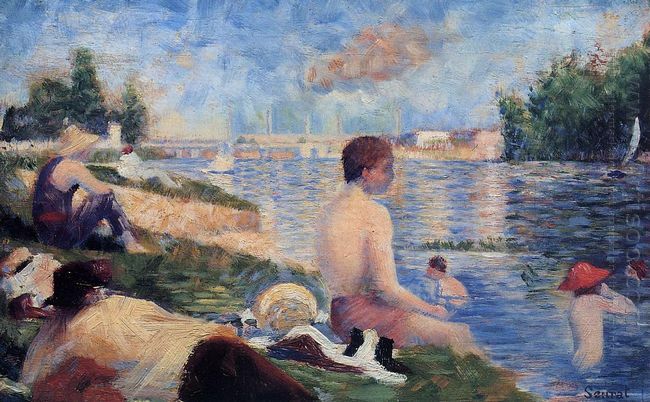 Seurat once painted 14 paintings to draw Final Study For Bathing At Asnieres. From the overall composition, Seurat distinguished the water and the land with slashes. 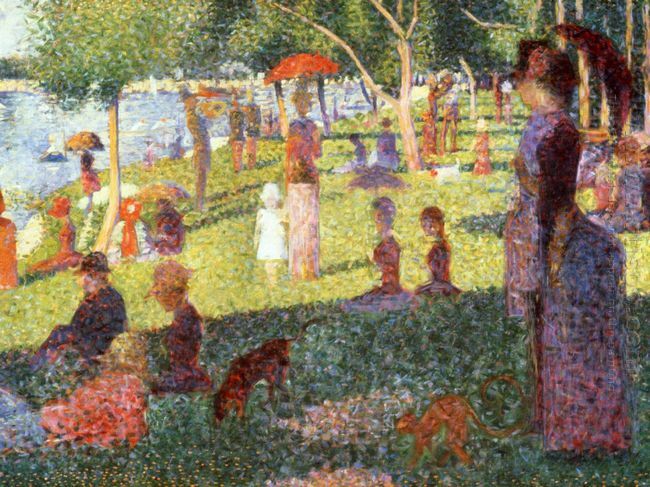 This painting was the first painting that established Seurat’s position by stippling methods. The work depicted people enjoy bathing in the west of Paris along the Senna River. At that time, Seurat was only 25 years old and he explored a new technique—stippling method, which coordinated several raw materials, but did not mix the colors on the palette. Instead, this method took use of the human’s intuition conversing through the brain and showed some colors in the eyes of viewers. Although this painting did not establish such stippling techniques, it was the so-called Impressionist declaration historical work. The true greatness of Final Study For Bathing At Asnieres was its artistic conception, which was the rational composition and perfect technique quite natural to convey to us clear lyricism. Like the discussion about the great spirit, the production of this lyricism went beyond the limit we were able to discuss. We could only say that this lyricism comes from the soul of a poet. Poer Farrell said, “People live in the real world, but what they see is only from their own dream.” If the artist is to give the real world dream with the rigorous modeling of human, Seurat is worthy of a rare great artist in this sense.